How far would you go to get justice for the person who has sacrificed and given you everything they possibly could? Savannah Carlisle is willing to walk into the lion’s den and risk arrest to prove that Joseph Abbott, founder of King’s Finest Distillery, stole her grandfather's Bourbon recipe and cheated him out of millions. Savannah grew up listening to her grandfather Martin tell stories of his days of being a moonshiner and how he was cheated out of what was rightfully his and his family's legacy. She has bided her time and honed her skills to position herself to infiltrate King's Finest and expose Joseph and his family for the thieves they are. The vacant Event Manager position is just the opportunity she needs. As VP of Operations, Blake Abbott would rather be walking the floor of King’s Finest instead of preparing to interview someone for the Event Manager position. After all, that should be something the VP of Marketing, his brother Max, should be doing. 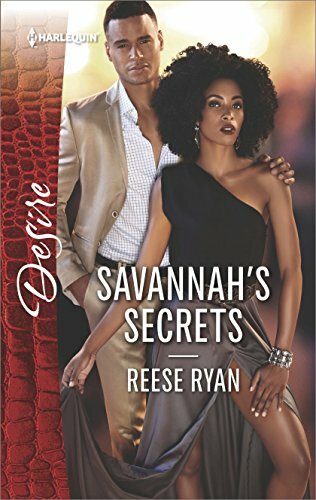 Blake finds himself lusting at first sight the moment he lays eyes on Savannah. She's beautiful, confident, and seems to know the company's history. He hires her knowing he should keep his distance but is unable to do so. Savannah has very impressive ideas and plans to help the company grow. She shows dedication by working late hours without being asked. However, it doesn't go unnoticed that she seems to have a fascination with Joseph, the recipes used, and the early days of the company. It also doesn't go unnoticed that while she is polite to everyone at the company, she chooses to not socialize and keeps everyone at a distance. When a rainstorm hits Magnolia Lake, bringing with it a flash flood and blocking the entrance to town, Savannah is forced to spend the weekend with Blake at his house. This weekend marks a turning point in their relationship and the start of a secret fling. As unwanted feelings start to grow between the two, Savannah's time in Magnolia Lake is running out. Pushing the envelope means risk and Savannah and Blake's lives will be changed forever. Reese Ryan has this really good ability to take a character who shows traits that should make them unlikable likable. I'm not a fan of liars and deceitful people. Yet, I found myself split on my feelings towards Savannah. I understand why she felt the need to go to Magnolia Lake and do what she did. A part of me admires her for it. But it doesn't make it right. Reese has written a really good story about family. It amazes me how the main and secondary characters are so entrenched in family. I have to admit that I was very surprised by the understanding and humbleness of Martin and the Abbott family. Reese has set up the Bourbon Brothers series nicely, with likeable characters that you want to know more about. She's even giving readers a little peek at the future heroes and heroines. I can't wait to lose myself in the next book. The Billionaire’s Twins takes place in the Bourbon Brothers world and features several character crossovers. It releases October 1, 2018.